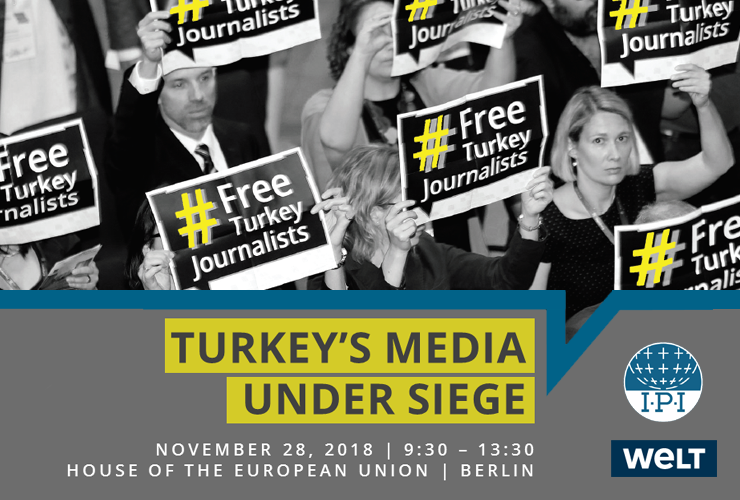 The International Press Institute (IPI), in partnership with WELT, invites interested members of the public to a networking event and series of panel discussions on November 28, 2018 in Berlin with leading lawyers, journalists and human rights activists from Turkey and Europe. Panellists will examine the media crackdown and the breakdown of the rule of law in Turkey, offering first-person perspectives. Importantly, they will also analyse the role that Turkey’s international partners, especially the European Union and Germany, can play in protecting fundamental rights in Turkey and will serve as a networking platform to further strengthen relationships of solidarity between the journalistic and legal communities in Germany and Turkey, and Europe at large. Advance registration for this event is required. To register, please provide your name to cstockford@ipi.media. For media enquiries, please contact sgriffen@ipi.media or by telephone at (+43 1) 512 90 11. Advance registration is required. To register, please send your name to cstockford@ipi.media. Questions regarding this event should be directed to cstockford@ipi.media or by telephone at (+43 1) 512 90 11. Media enquiries should be directed to sgriffen@ipi.media. Click to download the full programme. Over 160 journalists are currently behind bars in Turkey, the world’s leading jailer of journalists. 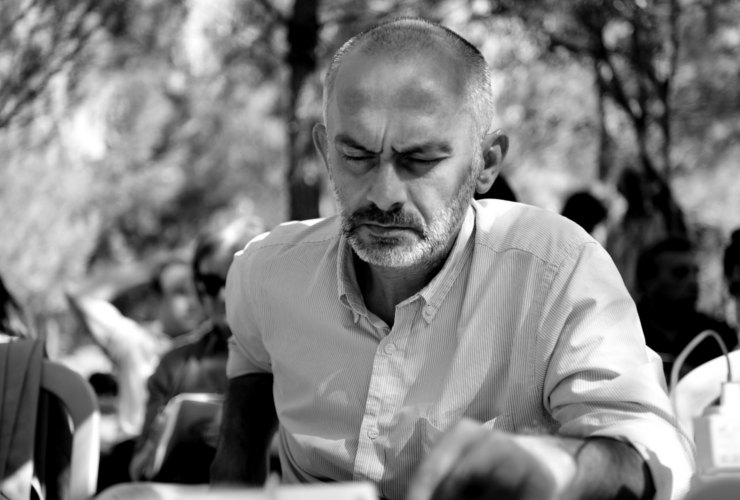 The vast majority of those held were detained – many arbitrarily and without formal charges – as part of a sweeping government crackdown on independent media following the July 2016 coup attempt. At the same time, government pressure on Turkey’s judicial system has curtailed the ability of journalists to defend their rights in court. The end of the state of emergency in July 2018 has failed to improve the situation. Despite these odds, Turkey’s independent journalists are still working to bring much-needed news and information to the public. This event is financially supported by the European Instrument for Democracy and Human Rights.